First Aid Kits Johannesburg make wonderful gifts and promotional items and are also a great thing to have. It’s always better to be prepared just in case of an accident than have something go wrong and not have any way to handle the situation. It is mandatory by government regulation for all offices in South Africa to have a first aid kit of the appropriate size on their premises. This means that not only is a First Aid Kit a necessity, it’s also a very thoughtful gift. With Corporate Gifts Johannesburg you can provide all your offices nationwide with first aid kits, or you can gift them to your clients as a reminder of how much you care about them and value their business. First aid kits are great to have wherever you are, from the sports fields to the office, accidents can happen. And if they do, with our beautifully branded government regulation first aid kits, you’ll be prepared for just that eventuality. We stock an array of first aids, from small kits, medium kits, large kits as well as government regulation kits and travel kits for when you’re on the move. The case is wall mountable. Government Regulation First Aid Kits are there to give you the ultimate peace of mind. The kit should be located in a central area for ease of access, and in the case of the Regulation Seven, it can be mounted onto the wall. The metal box that the first aid kit comes in is 46cm x 34cm and 14cm deep. This kit is fantastic for an office because it caters to up to 25 people, the case it comes in is secure, and it contains the essential items for emergency first aid that will help accidents as small as a papercut as well as help someone with a First Aid qualification control the situation until the patient can be taken to a hospital. The Government Regulation Three First Aid Kit is great for using at home or in a small office. It comes in a green and white plastic container that is still stable and is easy to transport to where it is needed if the patient cannot be moved. Just like the Reg 7, the Regulation 3 First Aid Kit should be kept in a central location so that it can be easily accessed in case of emergencies. This particular first aid kit makes a wonderful gift because it can be used either in the office or for personal use. Basic Vehicle First Aid Kits are a great investment. It’s a very useful thing to have when you’re on the go, even if you’re just going on a family trip to the beach, it pays to be prepared. A first aid kit in the car can help with stubbed toes. 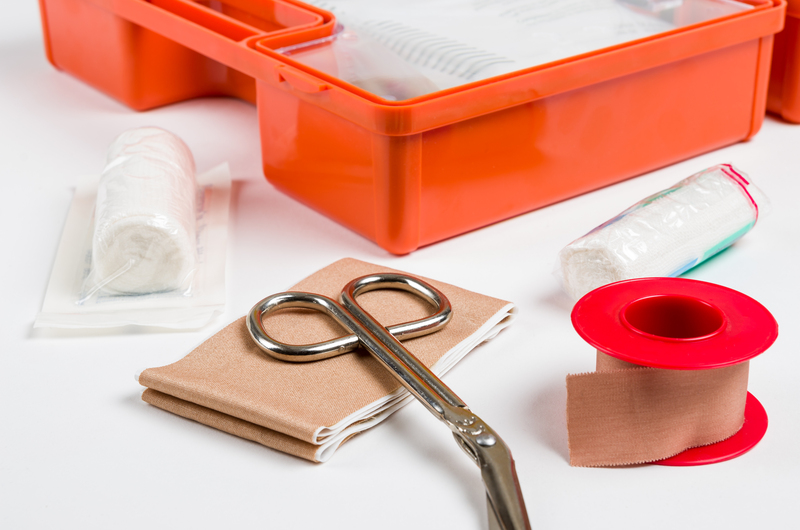 Because of its portable nature, the Basic Vehicle First Aid Kit is a very popular item and can be incredibly useful for companies with fleets of cars, such as taxi companies and couriers, who have employees who are on the road more often than not. Though the standard colours for this bag are blue, red and white, we can manufacture them in whichever colour you require. A First Aid Kit make for wonderful gifts because they can show your client how much you care about their safety and wellbeing. In an emergency a first aid kit in the hands of someone with first aid training can be the difference between life and death. Small things can make a huge difference and with a first aid kit can give a client huge piece of mind.